Want to keep connected? Consider dancing. This activity is one in which we move our bodies in rhythm with each other, connecting physically as well as emotionally. It feels so good to move in time together. You may be thinking, well . . . I don’t know how to dance. So this won’t work for me. There is an answer, Dance Lessons. Why you might want to consider Dance Lessons? It is an activity that you both can do together. It is an activity in which you are engaging fully with each other. It is a message to each other that you want to be up close and personal with your partner or spouse. It feels good to accomplish a new skill together. Keep in mind that everyone starts at some point in their history not knowing anything. So it is ok not to know what you are doing. None of us do in the beginning. Consider a variety of options: Community Education Intro Classes through the Public Schools, Group or Individual Lessons at a Private Dance Studio or by a Private Dance Instructor. Find an instructor that is positive and a fit for you. Start with one kind of dance and get comfortable with it before starting with more. The more you practice the better you get. On the other hand if you can only devote to one class a week, enjoy the time you do have. Have fun with this. Laugh at your mistakes and keep it light. And keep on going. No one cares about your mistakes. Know that it will take time to learn to dance. It is a process, so enjoy the journey. As someone who has worn beginner’s dance shoes, I would just say “Hang In There”. It feels so good as things begin to click into place and you begin to feel you can really dance. Hope you will consider this wonderful couple’s activity. You are never too old to learn. It is well worth your time and energy! Want to focus on the good in your relationship? It is so easy to get stuck in the “negative”. So for many of us finding concrete ways to do this is helpful. The more we focus on the GOOD the more we get of it. It is the basic law of attraction. One activity that you might consider is to create a Weekly Jar of Blessings. This can be used as a Couple or as a Parent / Child Activity. I would think that mid elementary children could participate easily in this activity. 1. 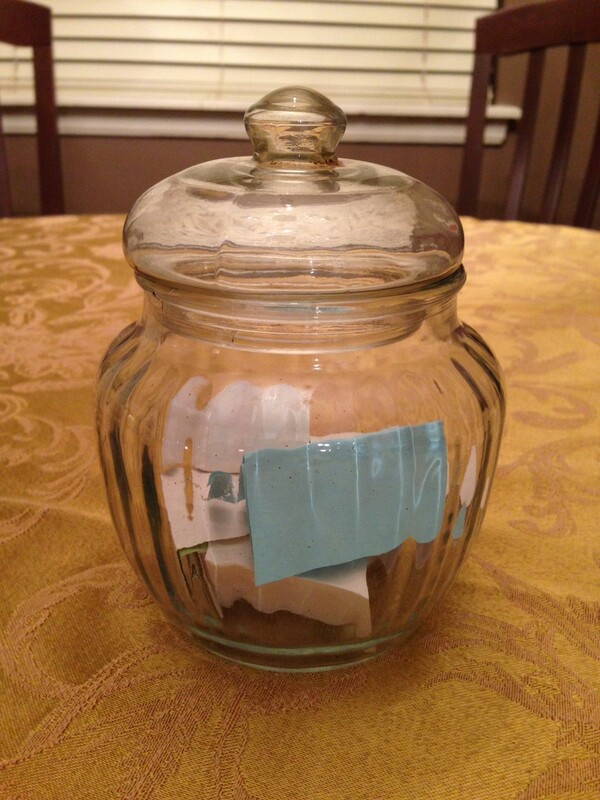 Use a pretty jar or container to place what you feel are your “relationship blessings” as they occur during the week. OR write down something you have done together that you enjoyed. Note: Do this as it occurs each day or as soon as you can so you can remember these special things you are doing for each other or have chosen to do together to keep your relationship strong and healthy. Note: Signing and dating your notes can add a layer of meaningfulness if you want to look back at your notes later. 3. Place your Weekly Jar of Blessings in a Prominent Place. This can be a nice reminder that GOOD things are happening! 4. Take time at the end of the week to take a look together at what you did that mattered and what each of you appreciated about the other. If you are doing a parent / child or family jar of blessings, you will want to make sure you have been fairly even as to your compliments or comments to the different children in your family. 5. Empty your jar of weekly blessings into a larger container or box, etc that will hold a large amount (maybe for the year or whatever you feel makes sense) and then store these away. You can label your box with a label “Weekly Blessings – February 2014 to February 2015”. 6. Then start your weekly blessing jar again for the next week. This is a lovely way to really appreciate each other and find out what helps you to stay connected. When we write something it seems to create a deeper memory and have a more lasting effect. So even though this may mean a bit of effort it is so worth it! You may find your own version of this Weekly Jar of Blessings. Do what fits for you. It may mean an abbreviated version of what is outlined above. Here are to many voiced words of appreciation and acknowledgments of all the GOOD that is going on in your relationship. Note: I would like to give credit to Jennifer Grace for the foundation idea of using a jar to collect good feelings. Reading together is a wonderful way to connect with your loved ones, whether it is with a child, a significant other or a spouse. In our high-tech age, we don’t always think of this kind of activity. On a winter’s day or evening it can be great when outdoor activities are not possible. Or when it is raining or really for any time that you need to slow down a bit. It is a way to add interest and new things to consider and discuss with one another. Basically a way to connect intellectually and emotionally, a double win! Below I have shared some possible variations of how “reading together” might be done. As a Couple . . . Consider selecting a book that is of interest to both of you. Buy two copies, one for each of you. Or of course you can share or check it out from the library. Read a chapter and discuss. Another possibility is to take turns on selection of which book you read together. This is a bit more adventuresome, but it does mix it up a bit and makes both people stretch. You could read a certain amount and then talk about. You each read your own book but stop at intervals and tell each other what is going on with your book and what you think about it and have a conversation about it. Instead of a book, you could do an article from a magazine, newspaper, something on-line, etc. Again discussion following. One of you reads to the other. This is especially nice when one of you is ill. Sometimes this can be spontaneous when one of you finds something of interest that you feel your loved one might find of interest. Drop Everything and Read Time. Some folks call this DEAR time. Everyone can read whatever they like and then after a certain amount of time each person can share a bit of what they were reading. Questions can be asked or discussions can develop. And maybe as you do this you can have a snack together. You can have a regular time you do this as a family or set it up when you feel it is a good fit for your family to do. Select a book to all read at the same time and to discuss. Maybe one chapter at a time. Read Aloud Time: Family members take turns picking something to read to their family. This could be a very short story or a poem or a chapter of a book or a quote. This might be done on family night or be done as part of Family Meeting Time. It could be done where only one “read aloud” happens per time or each person does a short read aloud. Discussion can follow. As a Parent / Child Activity . . .
Let your child choose a book and you take turns reading it together. You can talk about what each of your thoughts are afterwards. You read to your child. Invitation for discussion afterwards. 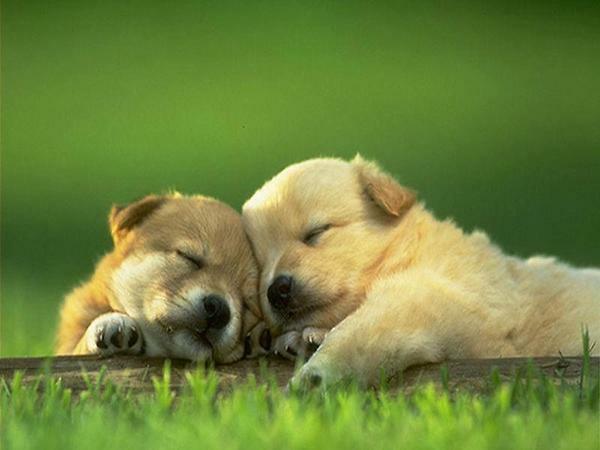 Hope you will have lots of cuddle up time soon to do some reading together. You won’t be sorry you did! I ran across the children’s book Have You Filled a Bucket Today? A Guide to Daily Happiness for Kids by Carol McCloud just recently while at a local bookstore. I have another book for children on this topic, but really liked how this one was done. For those of you who are not familiar with the “Bucket” concept, this is how it works. Please note that this is for all ages!!! Everyone has an invisible bucket (this is how this particular author explains it to children). The bucket is to hold your good thoughts and feelings about yourself. You feel happy when it is full and sad when it is empty. We need each other to help fill our buckets. To fill a bucket you simply show love to someone (for example a hug or kiss), say or do something kind, or make someone feel special. You can also be a “bucket dipper” by taking out some good feelings by saying hurtful or mean things, being critical, making fun of someone, etc. I might add I feel it is also important to let children know they can help to fill their own buckets by using “positive self talk”. What we say to ourselves is crucial in how we feel about ourselves. 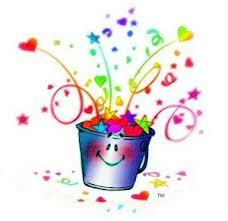 Our thoughts can add or take out good feelings from our buckets. I also think it is helpful to let children know that it is ok to tell your family that your bucket it low. And that you can help to fill it. This is ditto for couples too! One fun way to make this concept concrete is to have a bucket for each person in your family. Family members can write each other notes of love and appreciation and put them in the buckets. Everyone might even decorate their own bucket and put their name on it. This could be a fun family activity. Or even for a couple this would be a nice concrete way to show your love for each other. Good luck in filling those buckets! I recently had a chance to take in a movie at the Tulsa’s Admiral Twin Drive In. This is Tulsa’s old-time outdoor movie theater. It was fun! Thought I might pass the idea on to you as a potential Couples Date Night or as Family Night Out. As this is a seasonal activity, I decided to go ahead and write this piece while they are still open. When asked how long they stayed open? We were told that last year they were open from March 1st until December 1st. It sounded like they had not made a decision for this year yet. In a recent Facebook post they noted that they would close when the weather made them close. So . . . you may want to consider doing this here at the end of the summer or fall if you are interested. If in doubt just check their Facebook page or call them. Starting September 6, they are only open on Friday, Saturday and Sundays. A double feature is played each evening with two screens playing. Their Facebook info page indicates you cannot switch screens. We were also told this upon entering. Sound comes through your radio speaker. You must have an FM radio to get the sound. Movie goers are allowed to sit outside of their cars with their lawn chairs or blankets if they wish. We noticed many folks opted to do this. Animals allowed on a leash. Not allowed in restrooms or concession stands. Admiral Twin operates a grill / concession stand. It was noted on Facebook that at times they have Food Trucks also as an option. I would check Facebook if you want to know on this. 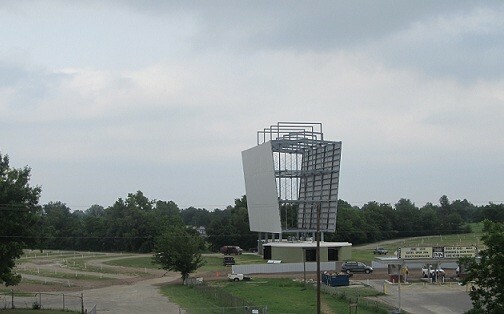 Movie Times are listed on their website www.selectcinemas.com or http://www.admiraltwindrive-in.com can be gotten by calling them 918-392-9959 or you can locate this information on their Facebook page. Prices: 12 and up is $7:00 and 3 – 11 is $3:00. They are located 7355 East Easton, Tulsa, OK.
Special Note: As always, it is important to do your homework if this is a family outing as to movies that are showing and determining if they are appropriate for your age of children. Even though you can stay for both movies as it is a double feature, you do not have to. It appeared they try to do some family movies and some more adult type movies too. If you’re in the mood to try something a bit old-fashioned and think your honey or family might like this kind of venue, it may be worth checking out. 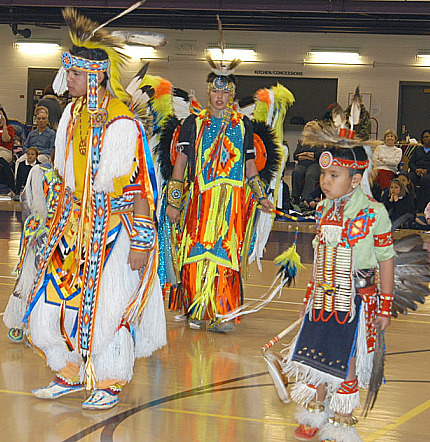 This weekend the Intertribal Indian Club of Tulsa hosts the 36th annual Pow Wow of Champions. This is a wonderful opportunity for your family to experience together an OK Cultural event. Many times we overlook some of our own states special cultural events. You of course would want to consider what parts of the program would most fit for you and your child’s or children’s ages and plan accordingly. I think it always works best not to over stay an event that we are not ready to handle. For specific information event you can call 918-378-4494 or 918-838-8276 or go to their website: www.iicot.org/ There is a schedule of events and times on their website. You will need to click on the flyer within their website to get this information. You and your family can experience dance, drum music and song from tribal nations across the country. Over 300 native dancers will compete. In addition, native american crafts and food will be available for purchase. This event is billed as a family event, but could also be a fun couple’s activity. Hope you will consider taking advantage of this educational and entertaining OK weekend event. We all know ideally we should connect on a deeper level on a daily basis with our loved ones. We really want to connect, but sometimes we get busy or tired or distracted and it just does not happen. Putting a FEELING CHECK IN as part of your routine can help. Ideally, this would be daily. But if not daily this could be done whenever you can. You might consider a weekly check in if your family is really busy and you think this might be more likely to happen. If you connect your FEELING CHECK IN to another daily activity it is more likely to happen. For example: At the dinner table every night or with your child as part of their bedtime ritual. The format can be structured in a variety of ways and you can decide what works best for you and your loved ones. 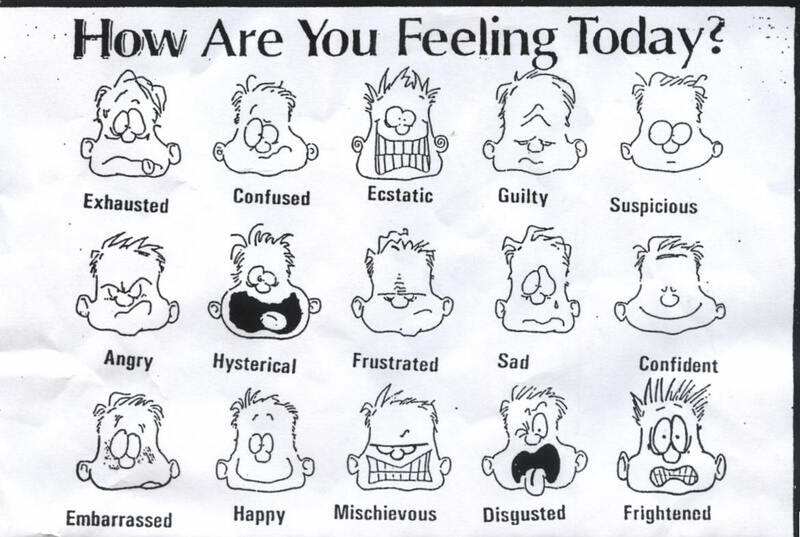 Some possible FEELING CHECK IN formats are listed below. You can of course come up with your own unique FEELING CHECK IN format that best fits your own unique family. You are the expert on your family! Tell me about your least favorite part of the day. What about your most favorite part of your day? What was the most exciting part of your day? What was the most boring part of your day? What about what made you feel happy today? Any sad things that happened to you? Or things that made you angry? Things you really feel proud of? (You can mix this up or do the same each day. Plus, you can decide for yourself what feelings you most want to highlight and how many you want to include). You will not want this to come off as an interrogation or as invasive. Teens may be particularly sensitive. One of the briefer formats may work best for them. On a 1 to 10, with 10 being the best how was your day today? What made it that way? What feeling did you have the most today? Tell me your top three feelings you had today. If you are doing this activity as a family you will want to consider the ages of your children and what they will understand and most be able to relate to. If you do this activity as a whole family (or as a parent / child or even as a couple) I feel care should be taken to protect privacy and need to not share, meaning someone should always be able to pass and not be pressured to reveal something they are not ready to share. Letting your children know they can always pass is important. We want to encourage sharing,but not force sharing. 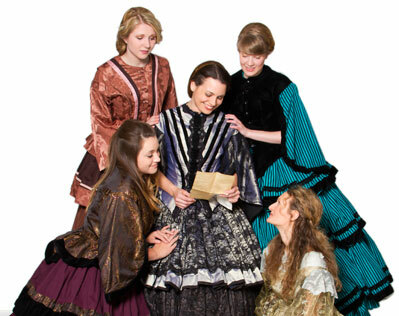 For those of you who are fans of the book Little Women by Louisa May Alcott you may want to check out this weekend’s performances of Little Women done by Playhouse Tulsa’s Summer Stage Festival. This is an original adaptation written by Cody Daigle and commissioned for Playhouse Tulsa. This play is based on the classic book which tells the story of the March sisters – Meg, Jo, Beth and Amy. This is set in America Civil War times. Themes of friendship, love and family. It timeless tale. This would be a wonderful activity for a mother and daughter, family or couple. It is all about relationships. A wonderful opportunity for lots of discussion afterwards. Hope you will consider this play as part of your weekend activities. July 12-13 at 7:30 p.m.; July 13-14 at 2 p.m.
Want to connect as you do something good for the environment and healthy for your body. Doing something that is simple, easy and meaningful. GO LOCAL with your marketing. It is that time of year when the FARMERS MARKETS are in full swing. If this is an activity you have not participated in before, you may want to consider giving it a try. 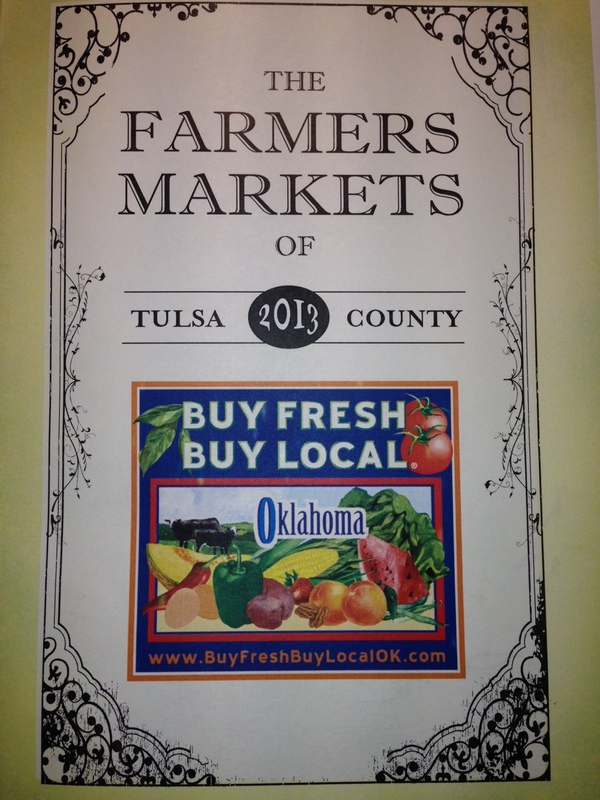 The Tulsa area has several farmer’s markets that sell fresh produce from local farms. Some of these farms grow organic foods. Knowing where your food comes from and building a relationship with some of these farmers is pretty cool. In addition most of them have local art and handmade products. It is a fun community event where people are there to promote local and to choose products that are good for our environment and more healthy for our bodies. And you will save money! NOTE: If you take CHILDREN to the market, consider their age and how much walking they can do. For little ones a stroller or wagon can be very helpful. Of course, as with any marketing it is best to go when you are not tired. This especially applies for children. Consider limiting your time to what your child or children can comfortable manage to keep it a positive experience. Letting your children help pick out your veggies can be fun and educational and allow them to be part of the process. You might expand this activity to a family or parent / child cooking time, using your fresh veggies you purchased at the farmers market. Green Acres Market, 117 S. 7th St.
Hope you enjoy your time “going local” and becoming a bit of a foodie. Your partner or family will enjoy this fresh open air environment and the healthy connection of good food and good times.